These vintage onyx earrings are long and elegant. 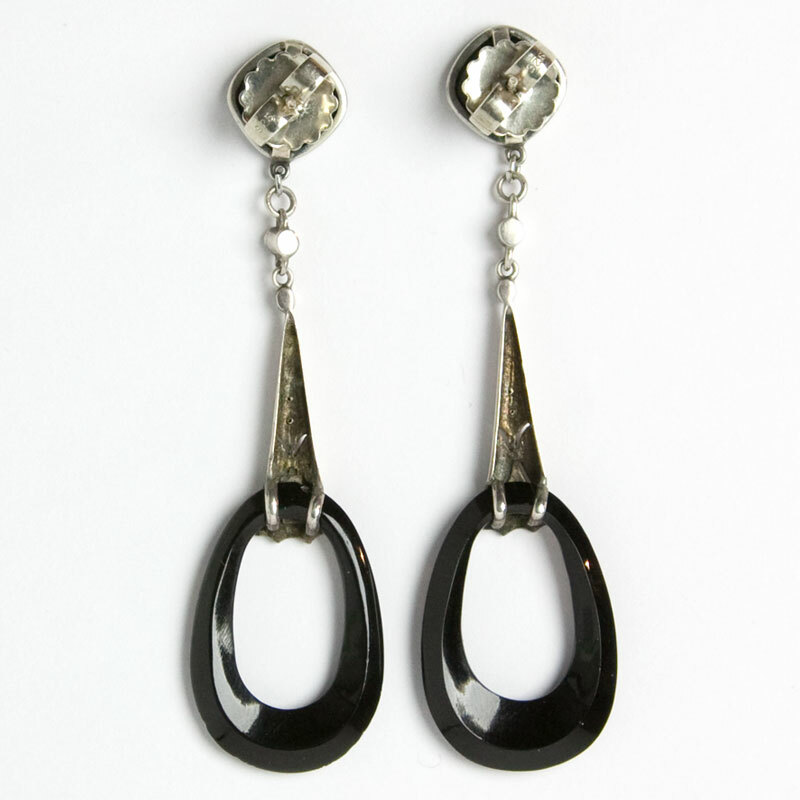 They each feature a collet-set, square onyx glass stone with an oval black Bakelite hoop, connected with sterling silver embellished with marcasite. The original screw-backs were replaced with 14kt gold studs for pierced ears by my expert jeweler. A gorgeous Art Deco design from the 1920s, when long earrings reigned supreme and movement in clothing and jewels was key. 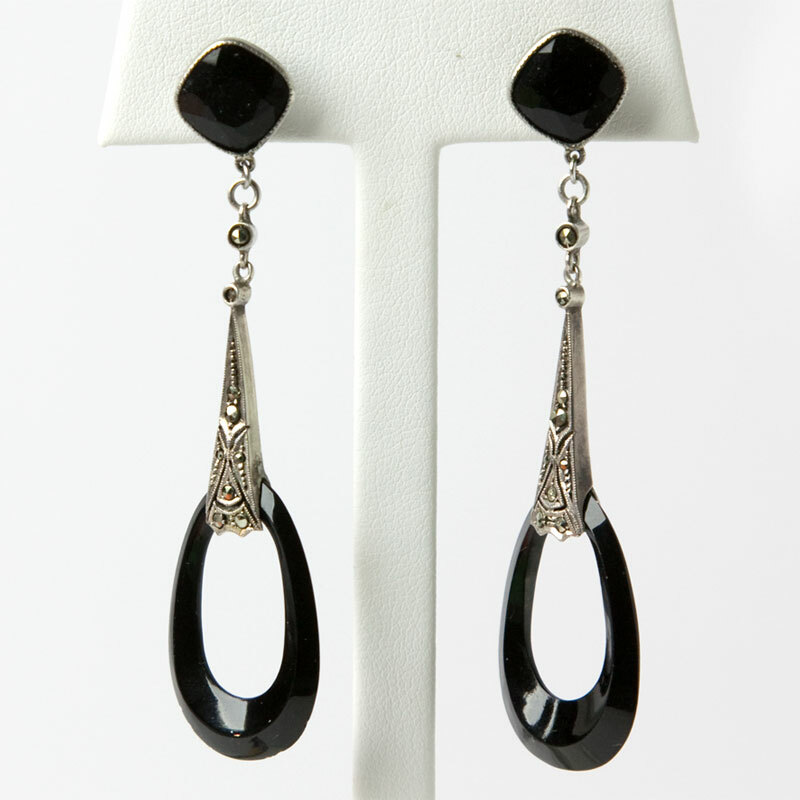 These earrings were part of my personal collection and are guaranteed to get you noticed! Scroll down to see a selection of perfect bracelets to wear with these jewels. 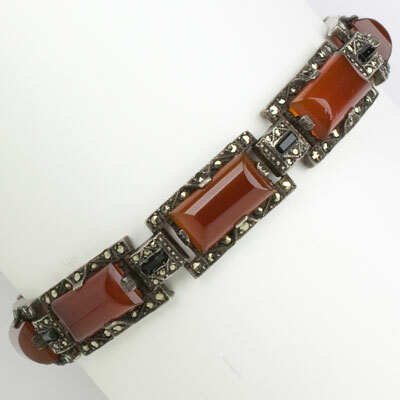 This 1930s marcasite and onyx bracelet from Germany features faceted, rectangular stones alternating with embellished sterling links. I have always found many German Art Deco pieces especially appealing because of their high-quality design and construction. 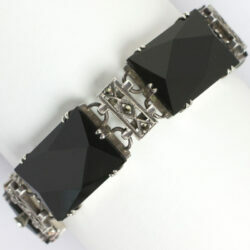 Bracelets like this one are extremely versatile for both day and evening wear. 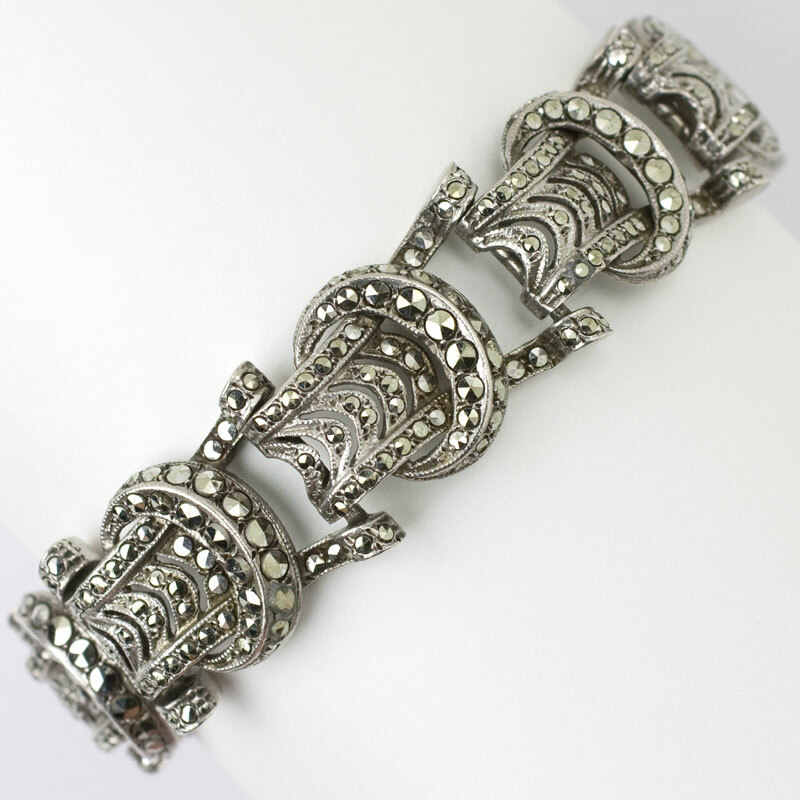 This piece was one of the first German Art Deco jewels that joined my personal collection decades ago. I was thrilled when it was chosen to walk the runway at Toronto Fashion Week for Spring 2019. 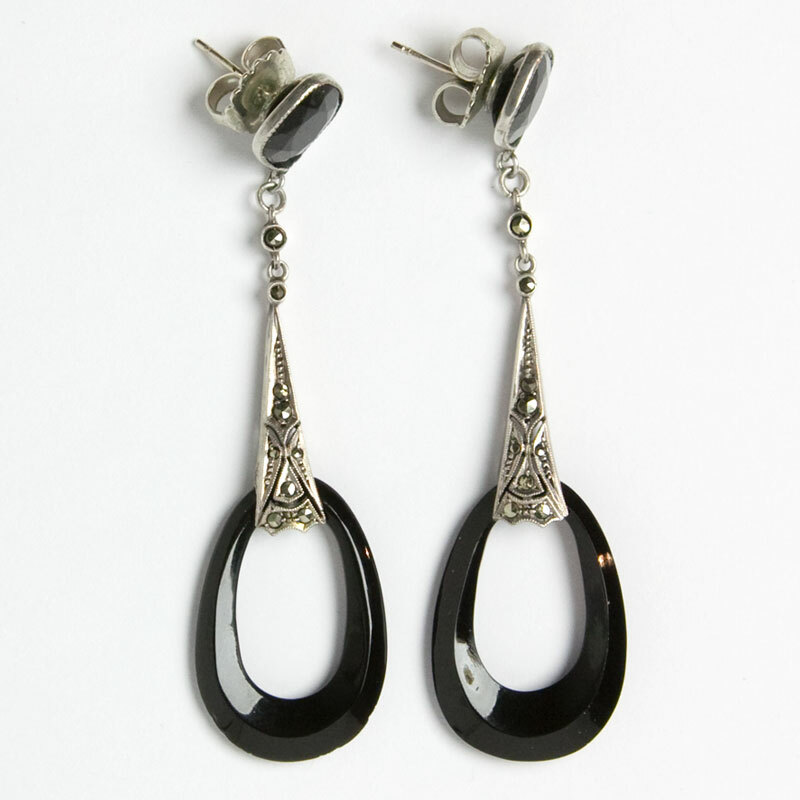 Scroll down to see the 1950s ear clips the designer (unexpectedly, but brilliantly!) 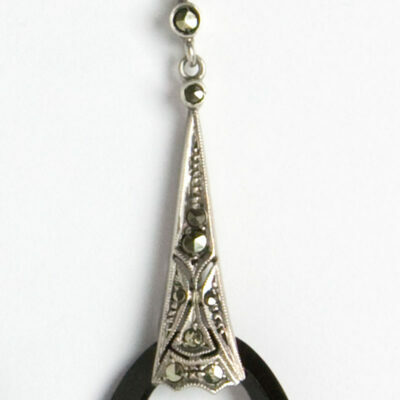 selected for the model to wear with this jewel. You'll also see two pairs of complementary Art Deco pendant earrings.